Chinese herbal medicine is a major part of traditional Chinese medicine, which focuses on restoring a balance of energy, body and spirit to maintain health rather than treating a particular disease or medical condition. Herbs are used to restoring balance by nourishing the body. 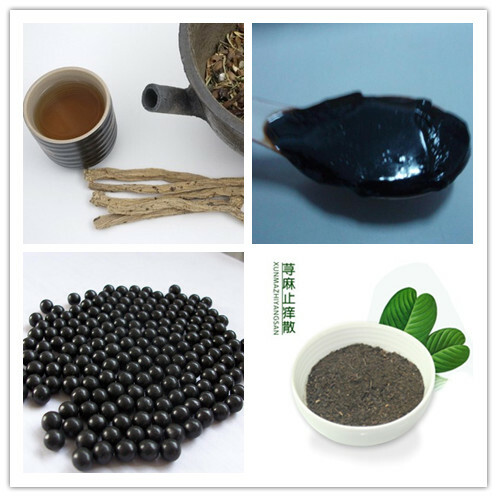 Chinese herbal medicine is not based on western conventional concepts of medical diagnosis and treatment. Practitioners attempt to prevent and treat imbalances of body, for those having cancer or other diseases, they employ complex combinations of herbs, minerals, and plant extracts. Chinese herbal medicine uses a variety of herbs, in different combinations, to restore balance of the body (see Astragalus, Ginkgo, Ginseng, Green Tea, and Siberian Ginseng). Herbal preparations are said to prevent and treat hormone disturbances, infections, breathing disorders, and a vast number of other ailments and diseases. Some practitioners claim herbs have the power to prevent and treat a variety of cancers. (see Astragalus, Ginkgo, Ginseng, Green Tea, Siberian Ginseng). In Chinese herbal remedies, there are one or two herbs that are said to have the greatest effect on the disease. The other herbs in the formula treat minor aspects of the problem, lead the formula to specific parts of the body, and help all the herbs work more efficiently. Native cultures of countries all over the world have traditionally used herbs to maintain health and treat illnesses. Chinese herbal medicine developed along with Chinese culture from tribal roots. By 200 BC, traditional Chinese medicine was firmly established, and by the first century AD, a list of medicinal herbs and herbal formulations had been developed. The classic Chinese book on medicinal herbs was written during the Ming Dynasty (1152-1578) by Li Shizhen. It contained nearly 2,000 herbs and extracts. By 1990, the latest edition of The Pharmacopoeia of the People's Republic of China listed more than 500 herbs or extracts and nearly 300 complex formulations. As Western conventional medicine spread to the East, some traditional Chinese medical practices gradually being regarded as folklore. 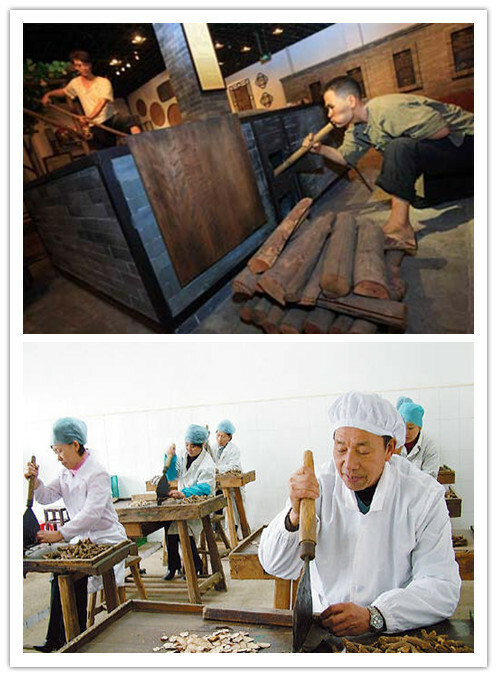 Since 1949, the Chinese government has supported both traditional and Western medicine use. Chinese herbal medicine became so wide-spread in the United States that in the 1970s in which year president Richard Nixon visited China. Today, practitioners with oriental medicine license from more than 30 states and more than 25 colleges practice in the United States. 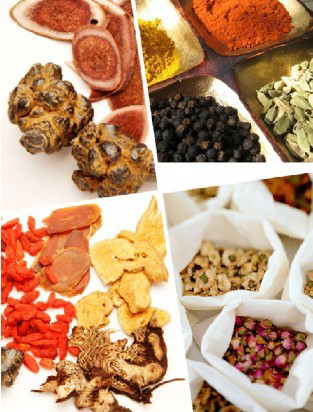 With the increasing popularity of herbal use, many Chinese herbs are sold exclusively and also in formulas. In the United States, Chinese herbs and herbal formulas can be purchased in health stores, some pharmacies, and from herbal medicine practitioners. Before choosing a mixture of herbs, traditional Chinese practitioner will typically ask the patient about symptoms and do an overall examine, usually focusing on the skin, hair, tongue, eyes, pulses, and voice, in order to detect imbalances in the body. taste property of the herb, namely sour, bitter, sweet, spicy, and salty. The various combinations of temperature and taste give the herb specific properties that can influence the yin and yang of the body. For example, sour, bitter and salty tastes are related to yin, whereas acrid, sweet are attributed to yang. There are herbs that can warm, cool, tonify, and move stagnation, etc. It is also important to understand the multi-quality of the herbs. They always combine several tastes and temperatures and may affect one even to twelve organ systems. Warm herbs can be used for individual suffering from heat disorders. To keep the equilibrium standard of human body, corresponding herbs should be used together. Likewise, cool herbs can be used with people with cold syndromes while the overall property of the mixture is warm. Neutral herbs are those neither hot nor cold, so they are considered gentle herbs and rarely exist in the pharmacopoeia. As for the tastes, sour constricts or consolidates. Herbs of sour taste are often indicated for use in protracted cough, chronic diarrhea, seminal and urinary incontinences, leakage or spermatic fluid, and other conditions related to hypo-metabolism (under-performance). In traditional Chinese medicine, they are seen as deficient or cold syndrome. Bitter possesses the function of clearing heat, purging the bowels, lowering the qi, improving appetite and drying dampness or wetness. Bitter herbs are commonly used in fire-heat patterns, such as the acute stage of infectious disease, and the patterns of damp-heat or damp-cold, such as arthritis or leucorrhoea. Spicy disperses, circulates qi and vitalizes blood. This group of herbs can stimulate the sweat glands to perspire, circulate qi, activate the function of meridians and organs and vitalize blood to promote blood circulation. As a whole, spicy herbs have the overall effect of activating and enhancing metabolism. Spicy herbs are commonly used in the treatment of external patterns (catching a cold), when the function of the meridian and organs is weakened and circulation of blood has been impeded. In TCM terminology, this is the stage of qi stagnation and blood cloudiness. Herbal formulas can be delivered in all manners of preparation. Pre-made formulas are available as pills, tablets, capsules, powders, alcohol-extracts, water-extracts, etc. Most of these formulas are very convenient as they do not necessitate patient preparation and are easily taken. Decoction is the traditional method of preparing herbal medicine. A decoction is a concentrated form of tea. The practitioner weighs out a day's dosage of each herb and combines them in a bag. A patient is given a bag for each day the herbal formula will be taken. The herbs are then boiled in water by the patient at home. The boiling process takes from 30-60 minutes and the resulting decoction will be consumed several times during the day. What does terms like abortifacient, alterative, anthelmintic, etc. mean?Look it in our glossary of terms. European Phytomedicineses are among the world’s best studied medicines. Learn more about it..